As satisfaction with airlines continues to grow, U.S. airports are also feeling the love. In a newly released J.D. Power airport satisfaction study, fliers gave the five areas studied -- check-in; food, beverage and retail; accessibility; terminal facilities; and baggage claim -- a big thumbs-up. All told, overall passenger satisfaction got a 12-point kiss from 2017’s study, garnering a score of 761 (on a 1,000-point scale). The winners were Las Vegas McCarran International Airport and Orlando International Airport, which tied for first place in passenger satisfaction among mega airports, followed by Detroit Metropolitan Wayne County Airport and Denver International Airport. For other size-tiered airports, John Wayne Airport, Orange County, Dallas Love Field, Portland (Ore.) International Airport, Buffalo Niagara International Airport, Indianapolis International Airport, and Fort Myers/Southwest Florida International all won out as passenger favorites. Bringing up the rear in satisfaction were New York’s LaGuardia, Kahului Airport on Maui, and Newark Liberty. However, LaGuardia’s marks are likely to change once its renovation is completed. "North America airports have been doing a tremendous job managing passenger volume, adding amenities, and keeping travelers moving despite some noteworthy challenges, but they will be put to the true test over the next few years," said Michael Taylor, Travel Practice Lead at J.D. Power. In comments to ConsumerAffairs, Skift’s Aviation Business Editor Brian Sumers echoed Taylor’s view. Outsmarting human nature: Despite the continued hand-wringing over paying extra for baggage, the airport experience with check-in/baggage check got the highest marks. J.D. Power reports that metric has been rising consistently since airports began implementing self-service kiosks and bag tagging which, in turn, lowered passenger frustration over waiting for someone else to facilitate that process. Overall satisfaction reaches all-time high: Overall customer satisfaction is at an all-time high, mostly driven by a 17-point uptick in satisfaction with food, beverage and retail, and an 18-point increase in satisfaction with security check. 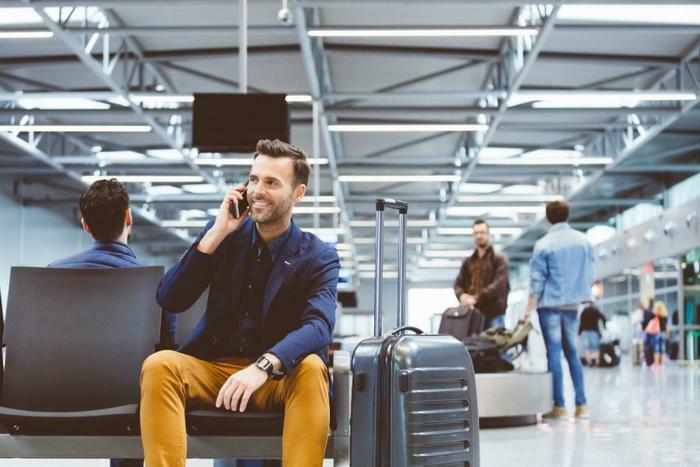 Better airport/TSA communication improves security check satisfaction: Thanks to improved communication and cooperation between airport and TSA staff, passenger satisfaction with the security process saw an 18-point increase. It’s interesting to note that many of the airports passengers favorited are smoke-free. While smoking policies were in flux a year ago, the American Nonsmokers’ Rights Foundation reports as of April 1, 2018, 30 of the top 35 U.S. airports are 100 percent smoke-free indoors. Airports are also keeping a pretty tight lid on the allowed use of electronic cigarettes, with 23 of the top 35 U.S. airports banning the use of electronic cigarettes indoors.